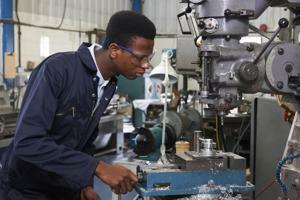 Home Procurement News How does the skills gap affect manufacturing? The global economy wouldn't exist without the manufacturing sector. The companies and workers in the industry provide consumers with the goods they require to maintain their desired lifestyles. As people's demand for their favorite products increases, businesses in the sector and the need for skilled employees grow. However, this may be a problem for the supply chain, as interest in the field from younger generations declines even as job openings go up. To be able to meet demand, manufacturers will need to find new ways to recruit workers and build enthusiasm for the industry. The Great Recession affected the success of various sectors in the U.S. However, since its end in 2009, the economy has been on the rise. Manufacturing, particularly, is no stranger to an increase in production. According to the recent "Report on Business" from the Manufacturing Institute for Supply Management, the industry is experiencing an upturn in business for the 31st consecutive month. While the manufacturing index is down 0.8 percent from the previous month, July registered a manufacturing index at 52.7 percent. Any number above 50 percent generally signifies that the sector is expanding. While it has slowed, the demand for manufacturing workers is still increasing. Deloitte and the Manufacturing Institute reported that approximately 700,000 new positions in manufacturing will be created because of economic growth by 2025. Another 2.7 million jobs will also need to be filled as baby boomers reach retirement age. While this provides plenty of opportunities for aspiring manufacturers, this employment growth may not be as positive as it seems. Approximately 2 million of those positions will remain open because of a lack of skilled workers. Employees left during the recession, interest in the field has declined, and many students are not receiving an in-depth education in science, technology, engineering and math at school. There will be a plethora of jobs to fill, but there won't be enough employees to do so. What can be done to boost interest? The U.S. is an increasingly white-collar society. According to a study from Deloitte and the Manufacturing Institute, millennials rank the manufacturing industry last on their list of possible career paths. However, many of them may not have any experience in manufacturing or technical activities. Approximately 53 percent of the survey's respondents believe schools provide an education that supports a career in manufacturing, and only 40 percent said today's students are qualified for those jobs. With the average retirement age of American workers at 64, 22 percent of manufacturing positions would be open by 2025, Deloitte and the Manufacturing Institute reported. Interest from the younger generations is crucial. The best way to build curiosity for the sector is to offer apprenticeships, which combine on-the-job learning with in-class education. These programs offer countless benefits for both employers and students, the U.S. Department of Labor explained. Young workers can learn skills that will help them throughout their careers while earning wages for the tasks they do. They'll also be trained for positions before they even graduate high school. Employers with apprenticeships have seen higher retention rates, as 87 percent of students remain with the companies for at least nine months after they finish the program. They'll also be training people specifically for their positions, which means managers won't have to waste time and money teaching a new employee how to do the job. The supply chain won't be successful if there aren't enough workers to fill positions. Manufacturers must start employee procurement processes before they require new staff members. By partnering up with schools throughout their communities, these businesses will be able to boost interest, provide technical skills and begin training potential workers before they're needed.